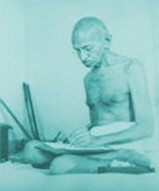 On 6th April 1930 he picked up a lump of mud and salt, and boiled it in seawater to make the commodity which no Indian could legally produce. The history of salt perhaps predates the dawn of life on earth. More recently some interesting points come out of Chinese history where one of the earliest verifiable salt works in prehistoric China was in the northern province of Shanxi. In this arid region of dry yellow earth and desert mountains is a lake of salty water, Lake Yuncheng. This area was in constant warfare; all of the wars were over control of the salt deposits of the lake. Chinese historians are certain that, by 6000 BC, each year, when the lake's waters evaporated in the summer sun, people harvested the square crystals on the surface of the water, a system the Chinese referred to as ‘dragging and gathering’. There have been studies, which indicate that some of us are sensitive to excessive salt intake, but there is disagreement over how much is too much. For years, many researchers have claimed that salt may contribute to high blood pressure. Recently, though, other researchers have begun to rehabilitate salt's reputation, claiming there is no reason for doctors to recommend reducing sodium intake for people with normal blood pressure. In fact, it has been found useful in the treatment of low blood pressure especially in patients with Chronic Fatigue Syndrome. The governments want to enact laws to reduce obesity and to reduce our salt intake. Obesity's cause lies perhaps in the consumption of Mono Sodium Glutamate (MSG) in the fast food establishments rather than the intake of salt. Also perhaps the body is craving for the essential elements which are lacking in our daily food and our bodies need to eat more and more to find these scant elements in our diet thus fueling obesity? In spite of the many and varied uses of salt, medically long-prized as a stimulant, antiseptic and much else, salt has lost out to the pharmaceutical industry during recent history - I would suggest at our peril. The increase in periodontal disease appears to correspond with the increased shelf space occupied by tooth pastes and mouth washes in supermarkets in the last few years. One has to wonder what came first - gum disease or the modern chemical cornucopia for teeth cleaning and gum freshening. Here is the paradox: if you are using a major branded (or any) toothpaste, with all its claims for health and freshness, you really ought to have strong gums and sweet breath. Yet you find that you have to resort to mouthwashes - also guaranteed to freshen the mouth and gums and in spite of using them as advised, you still have a very slimy tongue, mouth, bad breath and bleeding gums. 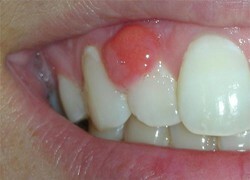 I have been astounded by the severely inflamed gums in many a patient who is diligent about cleaning teeth. Does it not beg the question ‘what is happening in my mouth? ’ Since you are cleaning your teeth regularly, there must be something wrong with the products that you are using to clean your teeth. In spite of fantastic scientific claims from the pharmaceutical companies - I beg to differ. Toothpaste and mouthwashes by virtue of their chemical components which say "Kills all bacteria" work against the basic tenets of medicine which is that one must not disturb the bacterial harmony on one's skin, mouth and gut. Ironically I came across this letter in some blog on the Internet:“I took my girlfriend to the dentist a couple of months ago because we noticed a lump on her gum just above her tooth. We thought it was just irritation from brushing at first, but when it didn't go away and got bigger I took her to the dentist again. The answer does not lie in adding antifungals and more lethal antiseptics to this disturbing mix, but to stop all of it and go on to use what nature has provided for us in abundance and almost free - salt. If you happen to be suffering from any or all of the conditions listed above, you need to stop using any toothpaste or mouthwash of any description whatsoever. From my experience, some of the above symptoms do not abate for up to 14 weeks after stopping the toothpaste and/or the mouthwashes that you may have been using so you will need to persist. You will also need to visit the hygienist or your dentist to clean your teeth with a 'jet wash' or a waterPik. Use a solution of salt, (in ratio of a teaspoon to half a glass full of warm water); pour little bits onto the toothbrush and clean your teeth with this solution. You may feel slightly awkward for a couple of days, about not using toothpaste, after which you will not notice any difference. (Please read Note 4 below). Invest in an Oral Irrigator/WaterPik to wash your teeth and gums with a spray of salt water after each meal. These are available over the Internet or from large chemists. Use inter-dental brushes to clean between the teeth. You can also rinse your mouth with basic cheap live natural yoghurt to re-establish bacterial balance in your mouth. Visit your dentist to assess for bone loss and to see if you need more comprehensive treatment like scaling and cleaning of your teeth also. Thank you for your help, advice and treatment. I had my last chemo and I started using the mouthwashes again - as the doctor's asked, but I started getting a mouth infection again so I stopped using them and used salt washes instead like you advised. Even though my immunity was zero the infection went and I believe that those mouthwashes actually caused my infections. So I am grateful to you for averting more pain! I will call you when I know the results of my biopsy. Until then, take care. The treatment for BO is to have a shower with an antiseptic free soap and while in the shower, rub salt on the affected parts, your armpits, feet or the whole body. Wait for a few minutes and wash it all off. You must not use the same towels, or any clothes that you may have been in contact with before; I would advise changing all bed linen and laundering it in very hot water. Use fresh clean clothes. Previously worn and dirty clothes contain the same foul odour-producing bacteria and you will pick the infection up again within seconds of contact. You may have to repeat this procedure if the offending odour reappears. Above all, bin the deodorant. I know that this is hard to believe: our industries has invested sizeable fortunes in our faith in artificial chemical products and huge multinational companies continue to benefit from our lack of confidence in personal hygiene. All I can say is ‘give it a chance'. It really works. Acne is also better controlled with a salt wash. Rubbing salt in localised areas of acne spots and leaving the salt in situ afterwards gives best results. Acne appears to be intimately related with the condition of your jaws, as I have noticed from the treatment of a couple of very entrenched cases. However, this introduces the whole subject of dental alignment and treatment, which is best presented elsewhere on this website. Many children and some adults develop persistent sore throats. My observation over many years in practice is that the cause is their poor dental occlusion and jaw asymmetry, which prevents proper ventilation of the breathing apparatus in their bodies. They need urgent non extraction orthodontic attention. Chronic sore throats are also a persistent feature of patients suffering from Chronic Fatigue Syndrome. Correction involves a significant amount of specialised orthodontic treatment to take care of the symptoms, which may not be possible for all because of an inability to attend for treatment. To prevent a ‘tickle’ becoming a fully developed sore throat lasting many days you need to gargle with hot salt water at the first sign of a cough, even if it occurs at 4 am. If it happens again within a few minutes gargle again. If the cough starts at say 4 am and you do not get up to gargle, this regimen will not be as effective. You have to start at the first sign of a cough. Years ago, I found that my twin boys took nearly 30 days off school in a year due to colds and coughs. The following year I implemented this regime and the absences reduced to two days in a whole year. This simple procedure helps asthmatics a great deal also. Here again, correction of the jaw asymmetries improves the problem in nearly all asthmatics, but we are so accustomed to using inhalers, attributing this as a medical problem, that we never seek help from the specialist orthodontist conversant with resolving this problem. As a matter of interest Americans spend billions of dollars every year combatting the dreaded tickle in the throat. Cough medicines don’t do any good. “The best studies that we have to date would suggest there’s not a lot of justification for using these medications because they haven’t been shown to work,” says Dr. Richard Irwin, a professor of medicine at the University of Massachusetts Medical School in Worcester, Massachusetts, and chairman of the cough guidelines committee for the American College of Chest Physicians (ACCP). Long term use of chlorine impregnated ear buds cause of most chronic ear infections. Washing with a saline solution using a pump obtainable from the chemist quickly resolves most ear infections. A further cause of chronic ear problems is a jaw which is held too far back by a retrognathic upper jaw which causes the condyle of the lower jaw to push against the thin skull bone which divides the jaw from the ear organ leaving less room for the ear to function. Please read this articel on Labyrinthitis. Narrow upper jaws disrupt the proper swallowing pattern causing a poor drainage of the Eustacian tubes which drain the inner ear into the throat. More comprehensive orthodontic treatment is needed to widen and advance the jaws. These are also best treated by wetting the bitten area with water and rubbing salt on the wound immediately after being bitten and repeating this procedure if required. In fact Arabs living in sandy countries rub salt on wounds from insect bites. Obviously sand is impregnated with salt molecules which provide the true benefit. This works amazingly well for most benign bites and immediately gets rid of the itch. It should be used on all insect bites before seeking help for more serious insect bites needing specialist care. It is noteworthy that while topical antihistamines are widely recommended for bites, according to the British journal “Drugs and Therapeutics Bulletin” there is no evidence that they are particularly effective. Various insect bite medicines are "only marginally effective and occasionally cause sensitization," the Bulletin says, "There is little evidence for the efficacy of treatments for simple insect bites.” Sticking to salt is far safer and cheaper. Cold sores are small blisters that develop on the lips or around the mouth. They are caused by the herpes simplex virus. Various antiviral creams are available and are mostly completely useless even when applied at the first sign of the cold sore emerging. Professor Giovanni from St. Barts in a blog on antivirals for MS says: "The earlier trials of the anti-herpes drug acyclovir were negative in MS, but this drug, and its derivative valcyclovir, are not really effective against most of the herpes viruses including HHV-6. " What a fraud! and millions buy this anti-viral cream all the time. The quickest way to resolve a cold sore is to keep applying salt to the emerging sore every hour or so. This often aborts the attack on the first day even before the sore has time to break into a blister. All of these suggestions consistently use salt as a natural remedy that respects the balance within the body, and works for the vast majority if the instructions are followed carefully. However, there are cases of such severity that a doctor must be consulted, as I have noted throughout. Efforts are underway to take us away from the culture of stronger and stronger antibiotics, which send the bacteria on the offensive to produce resistant strains. The use of broad-spectrum antibiotics for the treatment of this disorder when due to antiseptic use can seriously harm these glands. Professional help must be sought. Persistent use of throat lozenges is another very common cause of this. You need to stop using these instead of going on to use an antibiotic, which will make the condition worse. This may be caused by many other factors also. People with high blood pressure should have it monitored to see if it gets elevated in which case consult your specialist to see if you can use Potassium salt instead. Revised April 2019. This article may be freely reproduced on social media or copied onto your website provided proper acknowledgement is made and a link provided back to this website. Imagine you have just been told that you have to have your wisdom teeth extracted or maybe you have already had them removed. If this applies to you and especially if you suffer from any ill health it is imperative that you read this article. Wisdom teeth are the last of the adult or permanent dentition to develop. They are the third molars or grinding teeth and are situated at the back of the dental arches. They are often partially erupted with some of their surface covered by gum. This can lead to infection under the gum flap (pericoronitis) or decay in the crown of the wisdom tooth itself or in the posterior aspect of the tooth in front. Very occasionally they can be associated with other pathology in the jaw, such as cysts. The extraction of wisdom teeth for the most trivial reason has been a common phenomenon in dentistry. These teeth are often extracted to prevent the supposed 'overcrowding of lower anterior teeth later in life'. Occasionally they are enucleated (removed) at age 14 before they have fully developed. Experience shows that wisdom teeth do not bring about crowding in the anterior teeth which has a completely different cause. The crowding occurs because of poor facial development at the front of the mouth. Tooth impeding reconstructive jaw surgery. In all other cases the wisdom teeth were to be largely left in place except for "recurrent pericoronitis". The above reasons for not extracting the teeth were circulated to dentists to additionally save the British National Health Service some L5m a year. This directive is largely welcome but misses out on some real issues affecting patient health when the extraction of wisdom teeth is contemplated either within or outside of any governmental contract. The relationship of the extraction of wisdom teeth or any other teeth and the effect this has on health is ill understood and it is imperative that in the light of new knowledge the extraction of these teeth be severely curtailed. It is both for the practitioner and the patient to note that our wisdom teeth provide essential support in the back of the mouth and this support is absolutely essential for the health of the Temporo-mandibular joint (TMJ). Experience treating many patients has shown that disturbances to this joint can bring forth an unbelievable number of health issues. This is not to be taken lightly. A minority of the population who show no evidence of wisdom teeth in dental scans are a freak evolutionary accident. It is not the consequence of the "more evolved upright Caucasian face". In fact it has been retrograde evolution. Not having these teeth did not affect the attainment of puberty and hence the production of large numbers of offspring with missing teeth. Such offspring also often suffer from poor health. The Temporo mandibular joint is located just in front of the ears where the jaw hinges with your skull. The word Temporo refers to the temporalis bone of your skull, which also houses the ear. The mandible is your lower jaw. Occasionally on opening and closing you may feel and hear a click. The disc (Meniscus as below) housed between the skull and the lower jaw slipping out of its position and going back into position causes this click. This click is often associated with the existence of numerous other health problems. The disc begins to get problems if the development of the lower jaw is compromised during growth for very many reasons. (Please read my article on the Atlas asymmetry). Your mouth, jaws and indeed the entire head are served by the Trigeminal nerve, which provides 60% of the sensory input to the brain. It is most sensitive to the slightest change in the symmetry of the dental complex. Gross interferences like the extraction of teeth play absolute havoc with this system. The slightest disturbance in this sensory input, which comes from irregular teeth, jaw position or the space required by the jaw joint causes all the muscles supporting the head to fire causing tension and pain around the neck and shoulder muscles. It also results in a severe chain reaction throughout the body. It affects the ability to breathe effectively giving rise to tiredness, breathing problems and often asthma. It also causes a distortion of the neck vertebrae resulting in neck pain. This distortion is compensated by an opposite compensatory distortion of the lower back, which next results in a forward rotation of the pelvis on the affected side. Hip asymmetry resulting in lower back pains or sciatic nerve pains will not be uncommon. A clinical short leg is the consequence of hip asymmetry as you might have heard your chiropractor or osteopath mention. Many patients have some or many of the above symptoms. Conventionally you could go to a whole range of medical consultants and have an exhaustive array of pathological tests and at the end of it you may be as perplexed about your condition as your medical practitioner. In the normal course of events you will be finally referred to the psychiatrist for perhaps “hypochondriasis” as one ME/CFS document famously put it. You obviously challenge this and ironically automatically get weaned out of the health system into the “alternative world”. Many in the dental and medical field will question what is hypothesized here. However in the light of my experience I feel it incumbent upon me to bring to their attention as well as to the patient who is on the receiving end some important issues. Extreme caution is better than blatant interference with no turning back. • Where the patient already suffers from any of the related disease processes listed above, as it would often not only exacerbate those conditions but also potentially bring on additional symptoms. • Where a patient has had any extraction orthodontics, worn a headgear, elastics or any appliance to retract the upper jaw backwards. This also includes the use of twin block appliances, Bionator type appliances and bite raising appliances worn for longer than a couple of months. • Where a patient has genetically inherited small teeth or has some missing teeth. This includes 2nd incisors, second premolars or any other teeth. It also includes teeth which remain un-erupted like canines and a space must be left open for them for future implantation. • Where a patient has jaw size discrepancies, e.g. lower jaw smaller than the upper jaw. These are not genetic traits but caused by environmental factors. Please note the changes in this patient’s profile. The patient led a healthy life until the extraction of her wisdom teeth. It is rare to find evidence of changes to the appearance of a patient following the extraction of the wisdom teeth. I was lucky enough to find this case and obtain the patients consent for publication. The photograph is her appearance before the extraction of her wisdom teeth. Please note the prominent lower face, upper lip, cheek bones which are providing a good support for her eyes. This photograph shows the appearance after 18 months of the extraction event. Please note how the chin has receded and a flattening of the cheekbones has taken place resulting in an inadequate support for the eyes. At this stage the patient had been diagnosed with Chronic Fatigue Syndrome’ with a myriad of some 40 symptoms. She had chronic cystitis for 3 years with many acute phases during which she suffered very intense crippling pain for many days at a time. Medical attention with the use of antibiotics and many alternative therapies gave her no respite. The symptoms only abated after TMJ corrective treatment. This picture shows the patient in the recovery phase after intervention to correct the jaw abnormality. She has completely recovered from the symptoms from which she was suffering. However the support for the eyes still remains poor. It is difficult to achieve what was lost by the extraction of the wisdom teeth. These photographs are a testament to what is being postulated in this article. Would you take the risk of having your wisdom teeth or any other teeth extracted? 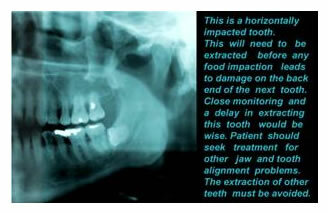 Unless the teeth can be replaced by implants extreme caution must be exercised. The deterioration of her profile is evidence enough of what a dramatic change in the appearance and health of the patient can take place. The relationship between Cranio-facial and skeletal symmetry and health is beyond any doubt after encountering very many patients with a multitude of serious illnesses. The extraction of these teeth must be avoided even if all the above criteria are not applicable. Often the jaws do not fully develop and this will be evidenced by the concomitant existence of ill health. At this point orthodontic intervention becomes necessary. virology, Scans etc. which all invariable turn out to be a futile exercise and end up drowning socialized medicine into oblivion and into the hands of those less concerned with social purpose and patient care. Patients treated under privatised medicine get bankrupted using modalities of care which have zilch to do with the cause of their illness. The interventions required to correct the jaw abnormalities require a sea change in the dental philosophies, which have been put forth over decades. The concept of “too many teeth and not enough bone to house them” (Standard text book orthodontics in most universities) has to be passed to the history books where it belongs. This concept over-rode the observations of Dr. Weston Price some 70 years ago who noted the marked change in the shape of the European face and dentition following the introduction of processed foods. The face became more upright, lost its natural prognathism and this was construed as the norm from which the dangerous concept of ‘dento-alveolar disproportion’ came about and hence the abundant practice of removing “excess teeth” and surgically reducing jaw sizes. The adoration of the upright face against the prognathic African face has also come to haunt the many eugenicists of the last century! The effects of pollution, the artificial ingredients in our diet, processed foods containing Mono sodium Glutamate, low calorie drinks containing aspartame and other artificial sugars which kill off brain cells, the lack of trace elements in our vegetables, radiation from excessive Depleted Uranium explosions around the middle east, dioxin poison, the oestrogen like chemicals in the plastic bottles that we drink from are all having a devastating effect on the development of the face, teeth, jaws and the cranium and subsequently or concomitantly the rest of the body. The latest calamity to hit mankind is GM foods. These are Genetically poisoned not modified foods. They take in weed killers which are present in their seeds and will cause cancer and sterility. Their children are just as vulnerable. In fact evolution is following a downward retrograde path. The incidence of abnormalities and illnesses like fatigue, Multiple Sclerosis, asthma and autism are having an exponential leap in reported statistics in western society. This has been calculated after allowing for improvements in diagnosis. In these circumstances one can do very little without prolonged intervention. This is the subject of another article but suffice it to say that it is very important that we err towards caution and non-extraction rather than blatant and gross interference with what nature has provided for us. Taking great care with what we eat is absolutely necessary to avoid the pitfalls and ill health which await just round the corner. The relationship of wisdom teeth to the evolving field of Cranio-mandibular and Skeletal Symmetry and its relationship to health is a very small aspect of this challenging field. It offers prospects beyond anyone's imagination. Dentists are in a unique position to bring about a great deal of relief where medicine has been nothing more than palliative care to the millions of sufferers with chronic ailments. It calls for them to rise up to the challenges that lie ahead. It gives you as the patient a hope and an answer that may have been elusive until now. “I came across an article that you wrote about all of the problems that can arise from wisdom tooth extraction. I have had a series of strange problems since my wisdom teeth were taken out a few years ago. The most troubling is that my coordination, balance and range of motion throughout my body has diminished. I have neck and shoulder pain and discomfort. At times it is difficult to hold my head above my body.” S.E. Los Angeles April 2014. Not everyone who has had their wisdom teeth extracted will suffer in the way mentioned. However it is always wise to be careful rather than regret after the event. If you have been advised to have your teeth extracted it may be in your interest to complete our copyrighted questionnaire to see if you may be susceptible to any adverse outcome if you have your wisdom teeth extracted. "In 2014 I extracted both of my bottom wisdom teeth within a few month of each other. Soon after that I began experiencing sudden excruciating sharp pains in my right hip, which happened randomly when walking. I couldn't comfortably walk for more than about an hour or so, my hips were getting very tired and painful quickly, and I had to take a long rest to recover. I also started experiencing pain in my knees. Sometime it is difficult for me using the stairs and getting into/out of sitting position. I always instinctively favour my right leg, often putting all my weight on the left leg. My hips always feel the strain at the end of the day. I also noticed that at about the same time, after extraction of my wisdom teeth, my eye sight deteriorated and I started using reading glasses".........Y. B. My health deteriorated rapidly starting with a frozen shoulder and progressing to extreme dizziness, head-over-the-hammer headaches, tinnitus, numbness in limbs and tiredness. At first, I didn’t put the two things together and I thought maybe I had a brain tumour, the symptoms seemed to match. After a brain scan, I was told everything was fine. I remember feeling really upset that I still didn’t know what was wrong with me"......M Gorman. The GDC has known about my contention that the extraction of these teeth can cause serious harm resulting in chronic problems for the rest of the lives of patients since mid 2013. They took absolutely no action to safeguard the patients. © Copyright Dr. M Amir and Amident Inc. All rights reserved. 1996-2019. This article may be freely reproduced on social media or copied onto your website provided proper acknowledgement is made and a link provided back to this website. Did you know that the Atlas, the first cervical vertebra, is out of equilibrium and dislocated in most of us, and that many chronic ailments, including headaches and backache, are possibly related to just this imbalance? "It is difficult to stomach that a fundamental element of human beings' equilibrium has gone unnoticed for centuries in the auditoriums of academic teachings." However, during my research I discovered that DD Palmer, the inventor of Chiropractic, discovered this anomaly towards the end of the 19th century. He discovered this amongst 97% of his subjects and, in fact, Chiropractic was started to correct just this one imbalance. Atlas correction has continued in some practices using a technique called Atlas Orthogonal. The tragedy is that this knowledge was confined to alternative practitioners. Mainstream medicine, always at odds with the alternative; by design or accident, has ignored this observation, or has not realised the impact on health of this irregularity and barged on with palliative drug treatment which nearly always masks the underlying problem making it more chronic. It often becomes untreatable if the damage has continued for too long. This can be seen very often in "MS" patients where the pinched nerves because of skeletal asymmetry problems have permanently damaged the function of an arm or a leg. Analgesics, anti-inflammatory drugs and steroid injections for shoulder pain, back pain, knee pain, are the order of the day while the underlying problem continues to worsen. Here one must note the serious damage due to blockage of blood vessels of the femoral head (top of thigh bone) as a consequence of steroid use, which may lead to even more disability in 'MSers because of delayed diagnosis. This mode of treatment eventually often necessitates surgical interventions and a relentless drain on the coffers of health service funding and social services. The impact of such slap dash treatment on the quality of health of individual patient victims is often beyond measure. I spent years with many Chiropractic and Osteopathic practitioners of repute, but never once heard about the fact that the Atlas was misaligned until a few years ago, when I had the good fortune of attending an evening talk on Atlas asymmetry and was astounded how amazingly well some patients had done with a newer form of this correction. I immediately realised that this would complement the work I have been doing for many years, which is correcting the Jaw joint and the . teeth to bring about symmetry in the patient's head, jaws and body. Symmetry of the Cranio-dental complex and the skeleton appears to be a key to the proper functioning of our brain, the intake of nutrients, the intake of oxygen and the proper functioning of all the organs of the body. "More than 90% of the energy output of the brain is used in relating to the physical body in its gravitational field. The more mechanically distorted a person is the less energy available for thinking, metabolism and healing." 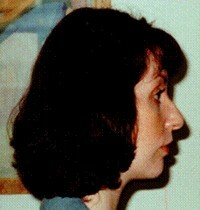 Although I had been very successful in alleviating many health problems, especially in those suffering from Chronic Fatigue Syndrome, by achieving tooth and jaw symmetry, I was alarmed that the Atlas imbalance was possibly impacting the dental corrections as some patients took significantly longer to correct than others. The negative impact of poor jaw development resulting in crowded teeth is a very common occurrence. Subsequent extraction orthodontics and problems with the jaw joints are very frequent amongst most patients who are ill with chronic ailments. Perhaps Atlas asymmetry is also a phenomenon which we have failed to notice but has gone uncorrected contributing to jaw asymmetry and vice versa - in the first place. 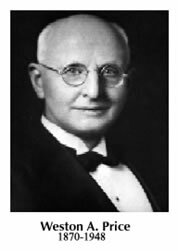 A lot of the answers come from the work of Dr. Weston Price who, in 1939, published "Nutrition and Physical Degeneration" - a book that details a series of ethnographic nutritional studies performed across diverse communities. In his studies he found that the plagues of modern civilization (headaches, general muscle fatigue, dental caries (cavities), impacted molars, tooth crowding, allergies, heart disease, asthma, and degenerative diseases, such as cancer, were not present in those cultures sustained by indigenous diets. However, within a single generation these same cultures experienced all the above ailments with the inclusion of western foods in their diet, such as refined sugars, refined flours, canned goods, etc. His studies should have been taken very seriously. Our western style of living has brought often absolute disaster to our health in general. Every family has to spend a substantial amount of their income and savings on health care. In spite of the knowledge imparted by Dr. Weston Price, which is now some 70 years-old, no government has done the slightest amount of work to eliminate that which is plain dangerous, damaging peoples health which needs phenomenal amounts of health care spending with no end in sight. The general direction has been, and is, to ram raid humanity into a dark age of sickness, disease, and perhaps ultimately into oblivion - GMO or rather genetically poisoned crops are the final nail in the coffin which is going to take humanity to the point of no return in many communities across the globe. No amount of expenditure on health appears to be sufficient for the bottomless pit of what I must call – a largely manufactured iatrogenic plethora of diseases. Governments are in the pockets of the corporations who have very little interest in any altruism or social purpose. This short sightedness is plunging humanity into an abyss like never before. I do not think that Dr. Weston Price was aware of the asymmetry of the Atlas vertebrae. A lot of work needs to be done as to the exact mechanism which causes the Atlas asymmetry and poor facial development but for now we can try and understand the physical impact of such an asymmetry. The crowded teeth come from a poor swallowing pattern that children develop. I previously attributed this to the use of dummies, feeders, and open mouth breathing in the stuffy bedrooms in which children often sleep. Although this is still a contributory factor, it suddenly dawned on me that having an asymmetric atlas would affect the function of the nerve to the tongue – The hypoglossal nerve. 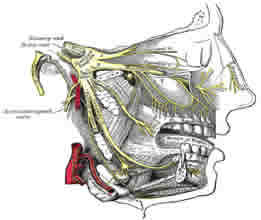 The occipital condyles, through which the Hypoglossal nerve travels, actually rest on the first cervical vertebra, the Atlas, and if it is out of position it would physically alter the shape of the Hypoglossal canal through which the hypoglossal nerve emanates. This probably disturbs some fibers giving rise to a poor swallowing function. Poor swallowing patterns are the root cause of poor jaw and tooth arch development. The consequent dental and jaw asymmetries cause a ripple effect throughout the skeleton. The weight bearing on the neck vertebrae changes which have to three dimensionally realign to balance the head. Orthodontic abnormalities also impact the Atlas and a dentist or a TMJ specialist cannot function without paying a close attention to both the Atlas and the jaws. The more attention I pay to both the more the mysteries of illness get unraveled. Other consequences caused by an asymmetric Atlas: The rest of the neck vertebrae sitting below the asymmetric Atlas rotate one way, while the lower spine rotates in the opposite direction in trying to compensate for the upper asymmetry. This causes the hips to rotate, with one hip rotating forward while the other rotates backwards. than the other. Please be warned that this is not an actual short leg and does not need a heal lift. We call it a 'clinical short leg'. Disturbances to the motor function of the muscles. Analgesics or steroid injections are not the answer as the cause is a physical asymmetry. Conventional treatment leads to unnecessary surgery in later life. Hip replacements in late life when patients can least tolerate such surgery are a typical example. Above the asymmetric Atlas vertebra, the cranium becomes un-level leading to an asymmetry of the eyes and the occiput, which physically alters the shape of the cerebellum, leading to problems with fine motor control of the skeletal muscles, and also causing problems like dyslexia and learning difficulties. Dyslexia has been shown to be centered in the cerebellar area of the brain. A misaligned Atlas may press onto the carotid artery, the Vagus nerve and the internal jugular vein as these structures are in intimate contact with the transverse process of the forwardly rotated Atlas vertebrae. The Vagus and the Cervical Sympathetic chain: The effects of asymmetry here can affect the function of many organs in the body, leading to digestive and blood pressure problems. Dr. Sclafani an authority on CCSVI treatment in New Yorksays: "This is a risk of dilating the carotid impression. There are nerve fibers in that region of the carotid artery (the carotid bulb) that regulate heart rate. Inflating the balloon in that area can result in stimulation of the Vagus nerve and its fibers that result in bradycardia and shock". The accessory nerve: (External branch), which crosses the transverse process of the atlas; either pierces or runs deep to the sternomastoid, which it supplies. At the middle of the posterior border of the sternomastoid, the accessory nerve crosses the posterior triangle obliquely. It then passes deep to the anterior border of the trapezius and supplies that muscle. Pain and stiffness in these two muscles is almost universal in patients with any kind of head, neck or back pain. Atlas and jaw asymmetry is nearly always the underlying cause of such pain. The internal jugular vein and the Carotid artery: These lie in close proximity to each transverse process with the artery and vein lying anteriorly. The asymmetry would compromise the blood flow through one side. Additionally the lower portion of the vessel lies in the interval between the two heads of the sternomastoid. The Phrenic nerve: This nerve supplies the diaphragm. Disturbances here can lead to a reduced breathing capacity. After Atlas correction we have seen immediate improvement in the patient's breathing capacity in a majority of cases which is an absolutely phenomenal discovery. 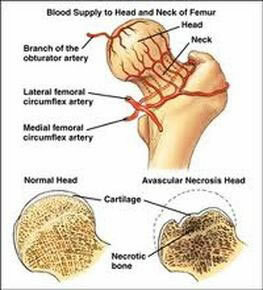 The vertebral artery: This artery traverses through the transverse process of the Atlas. The blood flow through it can be reduced, leading to a lesser flow on one side of the cerebellum than the other contributing to vision and gait problems. Other neurological effects have been discerned when patients have suffered whiplash injuries to the Atlas, and there is a lot on the worldwide web on this subject. New patients with various health issues and orthodontic problems. The observations enumerated below are largely anecdotal observations and by no means should be taken as scientific fact. 1) In the first two groups only about half the patients needed Atlas correction. 2) In the third group about 90% of the patients needed Atlas correction. It was concluded that Jaw treatment alone generally corrected the Atlas asymmetry in a number of patients. During subsequent work on new patients it was observed that if the Atlas treatment was conducted in the absence of an appropriate dental appliance the benefits appeared to be minimal. Only a very few patients appeared to qualify for exclusive Atlas correction. Treatment protocols have been modified so that attention is paid to the correction of TMJ problems for a few weeks. Patients are then re-evaluated and if they still need Atlas correction this is carried out. The figure of 99.9% needing Atlas correction treatment as claimed by the originators of this technique is too farfetched*. Having treated over 600 cases, the results have been astounding for some and very positive for a large majority. Most patients reported an immediate and observable major change. Some who did not see immediate benefits, a few months on, are reporting benefits. This is probably due to the fact that some symptoms are intermittent, and when they do not recur for a few months the patient is confident enough to report the change. There appears to be an intimate link between tooth jaw position and Atlas imbalance. We discovered that for best results the tooth jaw relationship was the primary correction which must be undertaken first. It was not possible to rely just on the correction of the Atlas. All new cases are now treated for both conditions as each is so dependent on the other. The need for Atlas correction has largely diminished as the orthodontic protocols have been modified. The consequence has been a faster relief from symptoms. The results as shown in the testimonials below, while unscientific, support the conjectures made in this article. A couple of years on I can confidently say that this has been the most amazing revelation to my repertoire of treatments. 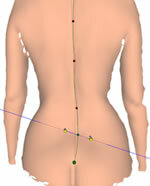 The results have been permanent 99% of the time with the patients' hips maintaining a level status. The short leg phenomenon disappears. Only about 1% cases had to be retreated and it was nearly always because the patient incurred an injury which dislocated the Atlas again. Conclusion: The testimonials below support my conjectures presented earlier on. The success rate in alleviating illness has rocketed with the combined Atlas adjustment and orthodontic TMJ corrections according to the needs of the patients. Atlas correction alone has also benefited many to a point that they no longer need any other treatment. Patients appear to continue benefiting long after the correction. Correction of the Atlas vertebrae has taken a new significance as it is increasingly recognised that its' symmetry is of crucial importance in bringing about healing in MS, ME/CFS and Fibromyalgia patients. What is not realised is that such patients have had very many years of problems with their spines. They have complained of neck, back and hip pain long before they were ever diagnosed with any of these illnesses. The structural problems are complex and need far more than just the correction of the Atlas. However, correcting the Atlas brings about very significant correction of the spine. The hips and clinical leg length discrepancies nearly always correct completely and permanently. (Heal lift in clinical leg length discrepancies as described earlier is ill advised). Very many symptoms will often heal. What does hold back the improvements is the state of the jaws and the teeth. They need concurrent correction to improve the balance of the head on the cervical spine. 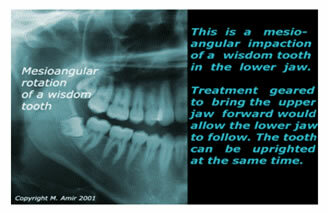 Experience is increasingly showing that the correction of the jaw must actually precede Atlas correction. NEGATIVE OUTCOMES FROM ATLAS CORRECTION ARE OFTEN A CONSEQUENCE OF AN INABILITY TO RECOGNISE THE SIGNIFICANT TORSION PLACED ON THE NECK FROM AN ASYMMETRIC JAW. Gross interferences with the jaws as is caused by extraction orthodontics and the extraction of wisdom teeth is difficult to reverse and the outcomes often less than satisfactory. Correcting the Atlas without having a quantitative objective measurement without expensive scans which must be repeated is difficult. Existing technology with Cat Scans etc. are also plain dangerous because of unnecessary radiation. After a lot of research we came across the equipment below. This is now installed in our office and provides very safe objective measurements which also surpass any evaluations obtained through radiography. The DIERS formetric 4D analysis system permits rapid static and dynamic (functional) optical measurement of the human back and spine. The procedure is radiation-free and operates without contact. 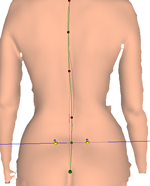 Numerous clinical parameters for objective analysis of body statics, posture, scoliosis, and all forms of spinal deformities can be shown. The new 4D technology leads into functional clinical measurement technology, to increase measurement precision (4D averaging) and to avoid postural variances. We mainly measure the pelvic tilt following Orthodontic treatment and/or after Atlasbalance™ treatment. These images show the change after 7 weeks of Jaw correction. The effect on the Pelvis is absolutely phenomenal. This is a sought after goal by many practitioners. This kind of hip asymmetry can cause very many health problems e.g. sciatic nerve pain, leg, knee, foot pains or numbness and it may need hip replacement surgery eventually. In women it can be a cause of major gynaecological dysfunction. The treatment also corrects the short leg permanently without any hip manipulation. Traumas such as whiplash or falls may cause or further accentuate misalignment of the Atlas vertebra. Conventional medicine does not consider misalignment of the Atlas vertebra a possible cause of disorders in the patient. As a result this problem nearly always goes undiagnosed. A single ATLASBALANCE™ session is all that is needed to permanently return the Atlas to the correct position provided the jaw is in its correct position. 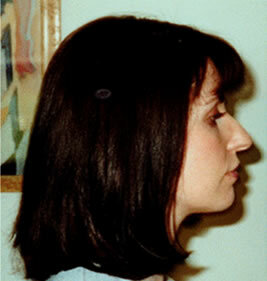 Many consider that acting on the neck area is dangerous. You should know that any potential danger is limited to high velocity chiropractic manipulations. The ATLASBALANCE™ method uses a completely new, risk free principle, which has nothing to do with chiropractic, osteopathy or any other neck cracking methods. "The jaw misalignment has a direct effect on the way the skull sits on the spine and can exert external pressures which can increase venous hypertension. I think this is a major factor in MS and we shall be investigating this in the future"
"I actually think this is going to be huge. It will improve the results of CCSVI intervention which are already very good". to long hours of practicing piano every day. Furthermore due to the latter reason, I have been experiencing arm pain starting from the wrist. Other doctors have diagnosed me with beginning of tendonitis, however after the treatment the pain has totally disappeared and I feel that my playing is much freer and tension-free. My constant headaches have also disappeared and I'm sleeping much better at night and waking up refreshed and with a clear head. Finally I also had a knee pain which I started feeling 4 months ago which is also gone! I would like to take the opportunity to show my appreciation and deeply thank you for having suggested this Atlas treatment for me. It has really had a tremendous positive effect and I not only feel much better physically, but I also feel my piano playing has been improving drastically since! Many thanks! Backache: Mr. Jones presented with very severe backache, which was preventing him from being able to work without significant discomfort. He was unable to get into or out of his car without a huge painful effort. He could only minimally lean forward. Examination showed the presence of Atlas asymmetry and a deviation of his lower jaw towards one side. Atlas treatment took away 50% of the symptoms on the first day. He was fitted with a dental appliance the next day which very quickly corrected the jaw deviation, and his symptoms disappeared within three days. He also reported a significant improvement to his eyesight and cancelled his appointment with the optician for a new pair of glasses. "Many thanks for fixing my back last week. Agony to bliss in three days isn't bad! I'm always amazed that such apparently abstract treatment has such an effect on wellbeing. Suffice to say I remain in your debt and will continue to champion your methods amongst my more sceptical associates until they too see the light!" Backache: I had a treatment called 'Atlasbalance™' by Mr. Amir. From assessment to treatment in one hour! No clicking or anything, just a strong vibration. I was skeptical, but was due to have steroid injections in my vertebra on Wednesday at a private Hospital which I've cancelled. The pain on sitting down has gone. Unbelievable. I believe he is on to something that is going to impact hugely the care of backache. I always knew he was clever, but now I think he's is a genius. Breathing: The Atlas treatment that you gave me yesterday has definitely had a positive effect. I had quite a bad headache after the treatment but honestly I can't tell if that was just coincidence because I do tend to get those when I come down to London. I'm feeling a sense of calmness that I didn't have before like everything has slowed down a bit, more relaxed. I can definitely take a bigger breath with my chest like my lung capacity has improved. I've got better feeling all over my body, particularly in my legs and feet - they feel more grounded. My pelvis feels level and my posture has improved a bit. My lower back feels better; my sinuses seem to be clearer, I can really feel the air rolling in against the back of my throat when I take a breath. I only wish I could take these deep breaths from my tummy instead of the chest. I know I have the ability it's just that my tummy feels tight and locked down by tight muscles unable to properly expand and take in the air I need. I'm still evaluating the effect of it all really. I hope it lasts and continues to show results. I'll let you know anything else that happens or if I have forgotten anything. Clicking Jaw: Thank you very much for all the work you did. I have a lot more energy, my jaw isn't clicking or feeling as uncomfortable as it used to, and I'm not getting shin splint. It's fantastic and I'm feeling so much better - I'm more alive! I'm still getting a little back ache, but not major. I think this is only because of standing up for long periods of time. Digestion: "When I was first told about this I was a little sceptical that it would be of any benefit to me. After all I did not suffer from any back pain or any of the typical symptoms it seemed to be instantly curing in other patients. [Having had the Atlas corrected] I was a little tired on the first evening as my body integrated the work, but that night I had a very deep sleep. The next day I felt nothing short of amazing - I definitely had more energy and was really proactive at work, and I know this is directly linked to my lungs suddenly being able to take in more oxygen when I breathe, but the biggest shift for me has been my digestion!!! For 36 years now my digestion and the foods I can and cannot eat have been a continual problem for me. I am often underweight and can't eat many food types without getting a foggy head and strong lethargy. I have paid a lot of money and spent a lot of time with various nutritionists. For the past two days I have been eating rich heavy foods that I would not normally eat and felt absolutely fine. Even at a work lunch today my colleagues commented on how much food I was eating. Normally I have a safe salad and a little bread as I get filled up easily. I was able to eat a proper three-course meal pretty much for the first time in my life. I cannot thank you enough for this treatment. I am bringing my whole family along to have this done as I know it will help each of them; my dad's digestion problems, mum's asthma, my sister's inability to conceive and my brother's sinus problems. This work is nothing short of amazing...thank you for taking the time and effort to train in it and bringing it to us. I Feel Great!!!" Eye symptoms: Sorry I have been up a mountain and had no email. I have been very happy with the results of the Atlas adjustment. I feel so much freer in my upper neck and head. I have felt stuck there for some 30 years and knew something was wrong, but no osteopath ever offered me that adjustment it feels wonderful! I have had no headache or eye symptoms (burning/migraine light patterns) since the treatment and will continue to observe as it is still early days, but am feeling very positive about it. I have more movement and that "something is not quite right" feeling I could never describe has gone. The tight muscles deep under my Atlas have released and the puffy congested feeling gone. It feels as if the solid thing that was not moving is free again. I can't tell you how terrible it has been to have that 24 hours a day. I believe that my Atlas has been out since I was 5 when I fell on my head twice and my tinnitus began. Many many thanks. I am so glad grace smiled on me the day I walked into your clinic. Facial appearance: Thank you so much for treating me. The Atlas treatment is brilliant. I sleep much deeper and my face looks different. An improved different. I always felt as if there was something not quite right with my neck and I'm sure that has done the trick. It as an uncomfortable sensation having the treatment but a needed pressure and the results are well worth a short time of being uncomfortable whilst the treatment is being done. As this is a very new treatment in the UK I feel privileged to have been able to find you. Thank you. Posture: "I have suffered with Thoracic Kyphosis and neck/shoulder problems for the last 15 years or more. This has been a major problem, not least of all because I have been a professional athlete and sports coach for much of that time. In that time, I have consulted with and practiced just about every form of postural re-alignment and spinal procedure imaginable. None of it has fixed my postural issues. Yesterday I was treated by Dr. Amir with his Atlas treatment and I have - for the first time that I can remember- had a normal posture, free of any neck pain and stress, free of any tiring forward head bend and free of any lower back pain. The treatment took 20 minutes or less, was painless and is quite simply the most miraculous treatment I have ever received. Even my posture when riding my bike and writing this at my computer has transformed and is pain free. I will be sending all of my training clients and athletes to receive the atlas treatment without hesitation." Need an expensive new drug that has no generic equivalent." Experience shows that perhaps ME/CFS, FM, MS, RA have already been hijacked into these "incurable" diseases needing permanent medication until death do us part. Improved posture: Here is some feedback regarding our son's treatment. Andrius wakes up more rested and has more energy during the day. His posture has improved greatly and it seems that it allows him to breathe more deeply. Also it looks like his lower jaw tends to stay more forward naturally. He is not as straight upwards as he was just after treatment, but so far his posture is good and feeling the benefits of the treatment. Andrius from time to time checks the posture himself without us reminding him to keep straight. The impression is that whatever needs to flow in his body (energy, blood) it can flow more freely now. 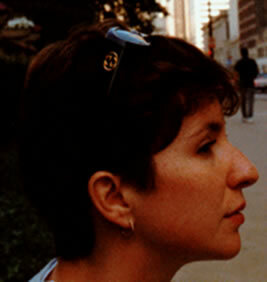 Walking taller: As I explained when I saw you, I noticed a big difference immediately after my appointment. As I walked back to the station I felt taller and as if I was standing up and walking straight for the first time ever. The change was so pronounced I could feel muscles working in my lower back that I had not been aware before, and it almost felt as if I was leaning backwards. Walking differently: It is amazing! I'm constantly looking around behind me because I can't believe how well my neck is working! I can feel that I am standing and walking differently, and I have no difficulty keeping good posture, it feels so natural! I wish you had done it 30 years ago for me; in fact my body feels like you have taken 30 years off it! I feel like it should be checked for everyone in the world! Hip Pains: Thank you for making me feel 20 years younger! My sister, Jenny O'Keeffe, whom you are working miracles with in terms of her MS, gave me a birthday present of a consultation with yourself to see if I could benefit from rebalancing my atlas/axis. I am a keen squash player, but in the last 7 years have had considerable hip and knee pain, necessitating 5 operations and many, many visits to a physiotherapist to try to work out why I was experiencing pain and how to mitigate it. I really enjoy playing all racquet sports and do not want to give them up, but at times it was just too painful to carry on; not only on a squash court, but just walking normally was difficult. What I didn't realise was that most if not all of it was down to my spine and shoulder girdle and pelvis not being aligned correctly. I had the Atlasbalance™ treatment some weeks ago. Prior to that I had been involved in an accident and my neck was injured. The consequence of that was that my breathing had become very shallow and labored. My hands and feet were extremely cold. My ppearance was very sallow. I tried all kinds of treatments. I was hospitalised on a few occasions with repeat pneumonia and chest infections. I was losing weight and had a very poor appetite. I was referred for the correction of the Atlas. After some thought and having heard from a few other patients I went ahead with it. After the correction I was amazed at the outcome. I was sitting in the waiting area when I suddenly realised that I could hear from my right ear which I had never been able to do for as long as I can remember. I next found tingling sensations in my hands and feet and they start warming up. They have stayed warm 5 weeks on and I can see my clubbed nails flattening out with new growth. My breathing has improved amazingly. Over the following 4 weeks my chest has cleared up. My appetite has returned. The hearing on both ears has balanced out. My posture has straightened out completely. We have finally come to the conclusion in the last few years that correcting the jaw corrects the Atlas vertebra and the hips 99% of the time. Manipulating the Atlas is no longer an option that we have to employ except in very rare cases. OR Call us for an appointment. on 00 44 (0)208 780 3433© Copyright Dr. M Amir and Amident Inc. All rights reserved. 1996-2019. This article may be freely reproduced on social media or copied onto your website provided proper acknowledgement is made and a link provided back to this website. Visual snow is a transitory or persisting visual symptom where people see snow or television-like static in parts or the whole of their visual fields, 24/7 that is everywhere and in all lighting conditions. It is a persistent disturbance in the entire visual field resembling the static of an analogue TV set. A large proportion of 'Visual Snow' patients have bilateral continuous tinnitus. The severity or density of the "snow" differs from one person to the next; in some circumstances, it can inhibit a person's daily life, making it difficult to read, see in detail and focus correctly. You can get a good idea from this link and perhaps can use the link to ascertain your exact scores in different lighting conditions. http://visionsimulations.com/simulators/visual-snow-simulator No cause for visual snow has been identified, and anecdotal reports point to a multitude of associated conditions, possibly rendering it a non-specific symptom. Insofar as sufferers of visual snow have undergone ophthalmic, neurological and psychiatric examinations, no systematic problems besides the visual snow have been identified and hence no treatment is available. I came across such a patient and noted that she has a terrible neck problem, IBS and TMJ dysfunction. We started treatment with little resolution of the symptoms in the early stages but her IBS started resolving. Gradually her neck started improving and the visual snow symptoms started abating a little. The patient did not see any improvement until she lost her dental appliance when she realized that her ‘Visual Snow’ deteriorated rapidly to the original state. On restarting the appliance the 'visual snow' symptoms again subsided slightly as before. What could be the explanation? Correcting the TMJ improves the neck muscles. Some deep muscles in the middle of the base of the head play an intimate role in proper eye function. 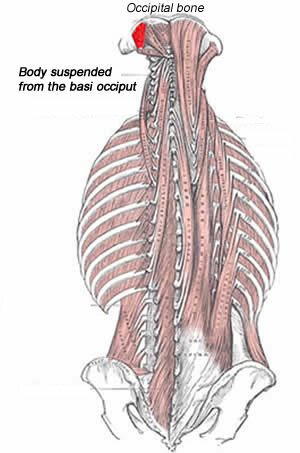 The deepest layers of muscles (the suboccipital "star") are crucial and have the highest number of stretch receptors. Their connection, from eye movements to coordination of the rest of the back musculature, is remarkable. To feel their connection to eye movements, put your hands up on either side of your head with your thumbs just under your skull at the back middle of the head. 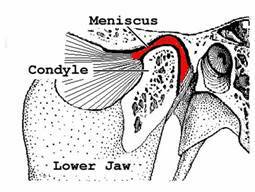 Try and feel past the superficial muscles to get to the deep ones under the occipital ridge. Close your eyes and then turn your eyes to the right and left while your other fingers keep your head from moving. You will feel those little muscles changing tonus under your thumbs even though your head is not moving. These little primary muscles are responding to your eye movements. Look up and down and you will feel other muscles within this set engage in a similar way. Try to move your eyes without these muscles moving and you will find that it is impossible. They are so fundamentally connected that any eye movement will produce a change in tonus in these sub occipitals. It appears that the balance, hearing and vision senses are intimately affected by the state of these deep suboccipital muscles. A disturbance in the muscle tone at the base of the mid occiput perhaps upsets the ocular and auditory pathways causing in some the effect perceived as 'Visual Snow'. This picture also shows how the back spinal muscles are literally suspended from the areas controlled by the suboccipital muscles. We have repeatedly seen how correcting the Atlas vertebrae immediately corrects the asymmetric hips most people suffer from - also known as the short leg phenomenon. The tension in these muscles is also the cause of most headaches and migraines. When a cat finds itself in the air, it uses its eyes and inner ear to orient its head horizontally. This puts certain tensions into these suboccipital muscles, which the brain "reads" from the stretch receptors. Based on this reading the brain "unwinds" the spinal muscles to organize the entire spine from the neck down, so that the cat's feet are under it before it ever hits the carpet. Apart from improving the TMJ dysfunction and bringing about Cranio-dental symmetry to resolve the tension in the sub occipital muscles it is also advantageous to have a little bit of daily sub occipital release which can easily be accomplished by visiting an alternative practitioner. “I've had visual snow for as long as I can remember............ I only occasionally get tinnitus; not ringing but more like I'm a mile away from a rock show. Sometimes I still look around wondering "Where is that music coming from?!" only to realize I'm the only one vaguely hearing it.............. I was studying massage therapy and was getting a head/neck massage from one of the 2nd year students. She worked on the muscles in my neck then did a sub-occipital release. Your sub-occipital muscles are literally the muscles that move your eyes, and "releasing" them is just literally stretching them out causing them to relax. it started with pain in my neck my VS increased like 80% "
I saw an ophthalmologist a year or so ago who had spent 5 years researching visual disturbances. He said he'd met people who had similar problems to me with the things moving when they're not, jumping vision, colours not being right, flashing, blind spots, halos, strobes and bright colours when you've got your eyes shut. Anyway he said they'd never found a cause but noted the similarity in other apparent symptoms and patient history, for example previous head injury, non-binocular vision, fatigue, IBS, dizziness, tinnitus and headaches. What I deduce from extensive studies and experience with just one patient is that 'Visual Snow' is not an isolated symptom. It is part of a broader picture where patients suffer from a host of other symptoms like neck pain, fatigue, IBS, ear problems and headaches all caused by bodily asymmetries. It appears that the neck in these patients is more seriously damaged through injury and/or Cranio dental dysfunction. All these accompanying symptoms are very amenable to treatment. It should therefore be possible to bring about a resolution of 'Visual Snow' symptoms. If I had sufficient patients I could probably get results very fast in a small percentage instead of 'No cure' at present for this condition. Most of these symptoms are amenable to treatment via correction of the dental anomaly. So a resolution of VS symptoms must surely follow in at least some of the patients. There are many anatomical and neurological reasons why it should be correctable. There is an intimate link beween the ear organs and vision. The vestibulo-ocular reflex (VOR) is a reflex, where activation of the vestibular system causes eye movement. This reflex functions to stabilize images on the retinas (when gaze is held steady on a location) during head movement by producing eye movements in the direction opposite to head movement, thus preserving the image on the center of the visual field(s). For example, when the head moves to the right, the eyes move to the left, and vice versa. "Thanks for all your help and support over the past year. This time last year I would not have been able to write this card"
The article also says that many patients who have VS have been misdiagnosed as migraine patients. I have a patient who had both migraine and VS. The migraine resolved very fast but the treatment has not impacted his VS symptoms yet. Before visiting Dr. Amir, I had experienced terrible migraine and migraine visual aura along with a rare unknown condition known as visual snow syndrome. After finding out that my jaw was not correctly aligned and was causing lots of tension around my neck muscles I decided to undergo Amir's treatment. After a few weeks into treatment with a removable brace, the migraines and visual aura associated with migraine stopped completely. The visual snow and its symptoms also reduced around 50% - 70% over time and while it's still there to some minor degree, its minor enough for my brain to ignore it and forget its presence. I fully recommend visiting Dr. Amir as his treatment approach is unique unlike any other.